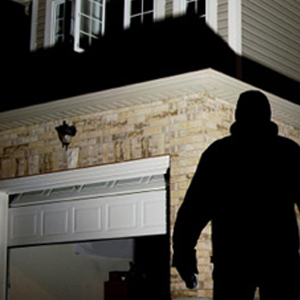 Statistics show that the homes most likely to be targeted by burglars are those without an intruder alarm. 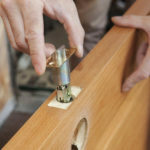 Thieves know that they will have an easier time getting into these homes without being caught, and with break-ins on the rise, it’s essential that you take action. The cost of a reliable home security system is a small price to pay to protect your home, family, and belongings- and at SSH Fire and Security, we provide the most effective intruder alarms at the lowest prices around. SSH has many years of proven experience designing and installing the most appropriate, effective burglar alarm systems in Glasgow. What’s more, we are also completely independent. That means when it comes to recommending equipment, we don’t have any hidden agendas and we are not pressured into pushing one product over another. Our criteria are simple and open: we’ll design and install what’s best to protect you, your people and your premises. SSH Fire and Security Systems are professionally designed and installed to suit your requirements & lifestyle. We install intruder alarms Glasgow in homes, office, factories, warehouses and institutions. We guarantee that all home security systems are installed the highest possible standards. With rigorous quality control and internal auditing, we guarantee that all alarm systems will achieve a Grade A standard upon inspection by our regulators. SSH Fire and Security monitored burglar detection system connects you to our Intruder Alarms Glasgow Receiving Centre via your telephone line. We offer a wide range of signalling methods, including Digital Communicator, RedCare, RedCare GSM, and DualCom. 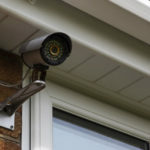 The systems can be configured to protect you and your property from fire, burglars/intruders, Hold Up, (Personal Attack) – and we can call on the emergency support you need from the Police, Fire Brigade, or your authorised key holders. Contact us today for more information on our intruder alarms Glasgow. Don’t leave your property at risk of a break-in. 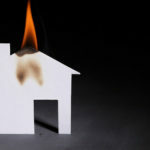 Instead, come to the experts at SSH Fire and Security, and allow us to ensure that your home is always fully protected. Whether you have specific requirements for your new domestic security system, or simply want to find out more about what we have to offer, please don’t hesitate to get in touch. Call now on 0808 164 0280 to arrange your FREE, no-obligation survey today! From the initial phone call, I was given all the advice and information I needed ,Kevin and his team fitted the alarm system with no fuss and all mess was cleaned up as they left!